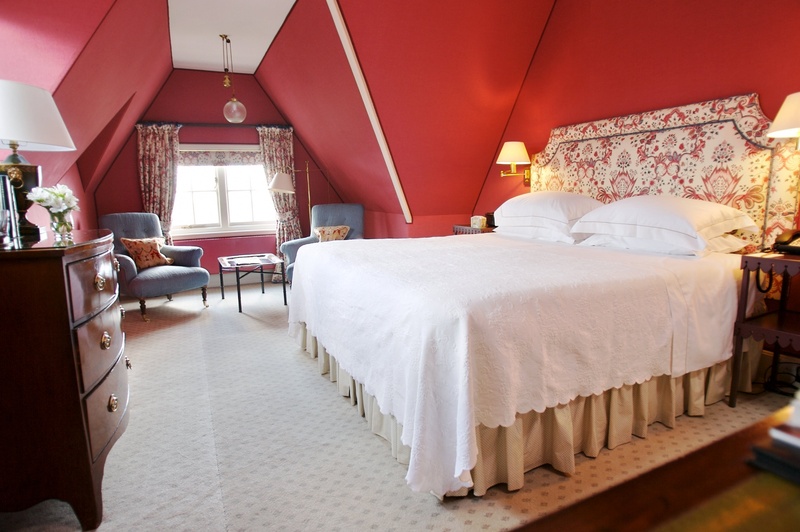 A spacious room on the second floor with a superb view of Rutland Water. It is approached through a private corridor and so is probably the quietest room in the house. Equipped with two wing armchairs, a breakfast/writing table and a dressing table. 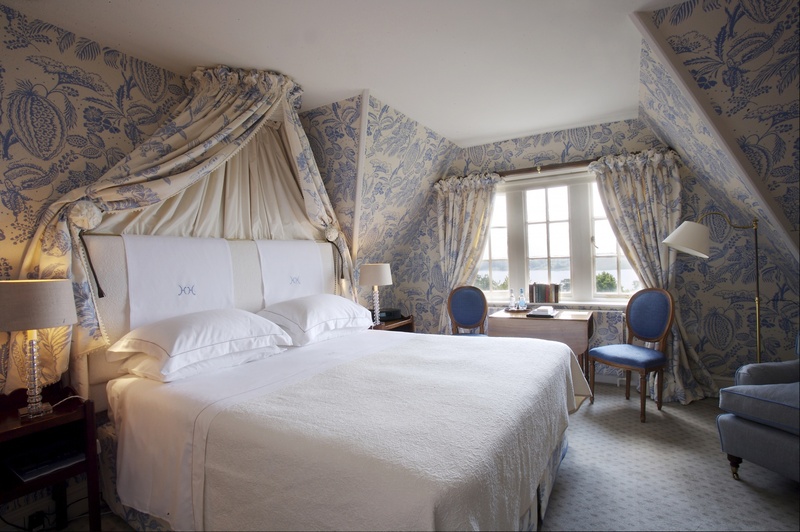 Decorated in pale blue with hand embroidered curtains and headboard. 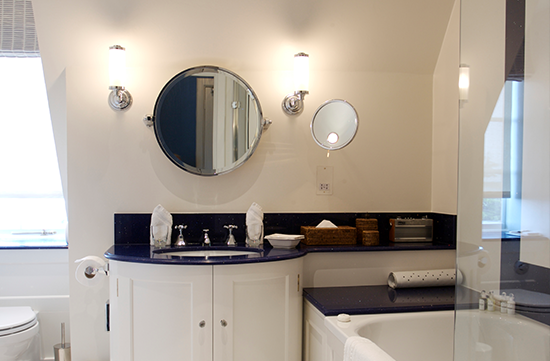 Marble bathroom – size 10′9″ x 11′6″. 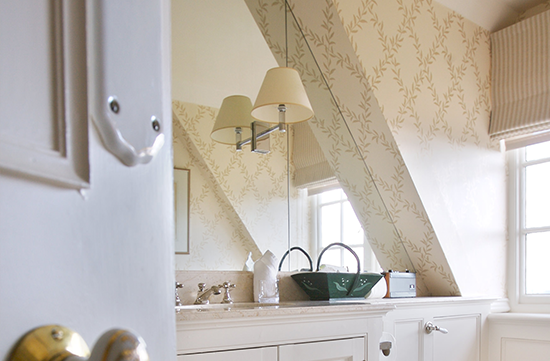 A spacious room decorated in Nina Campbell chintz with pale creamy wallpaper. 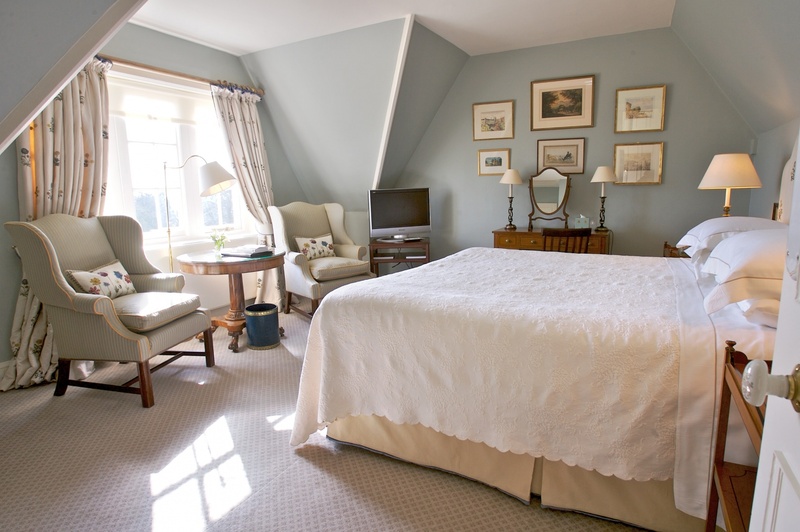 This is one of our three best rooms after the Master bedroom. It has a breakfast table with two occasional chairs and two armchairs with a coffee table. Wonderful views of Rutland Water and the gardens. 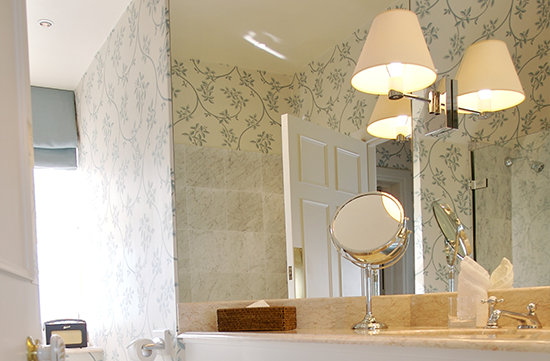 Marble bathroom – size 8′6″ x 8′0″. 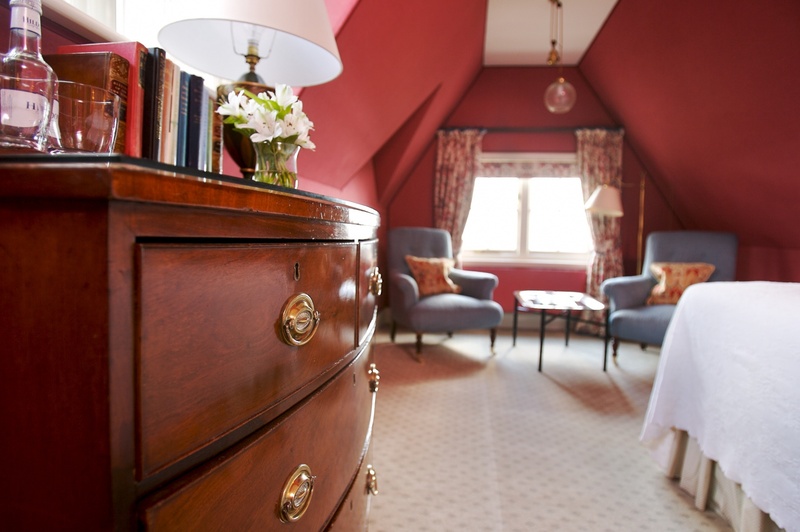 A medium sized room; this bedroom has raspberry coloured linen on the walls. 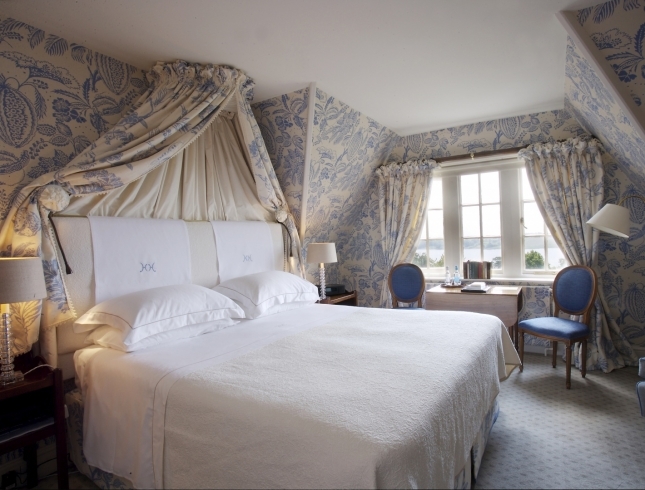 The curtains and headboard are made from a beautiful 18th century French design fabric in cream, blue and pink, with lovely views over the gardens and Rutland Water. It has two comfortable armchairs, writing/dressing table. The ceilings follow the line of the gables of the house. Good marble bathroom (9′6″ x 8′0″) with hand and fixed shower with a nice deep bath and lots of natural light in both bedroom and bathroom.